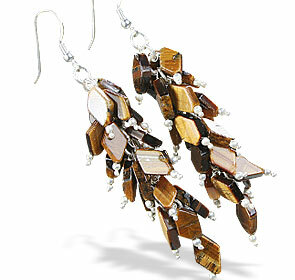 Tiger eye is special gem with amazing yellow, black and brown bands in varying patterns and shine. 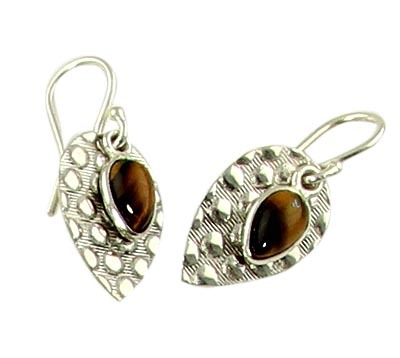 We present our collection of tiger eye earring jewelry with natural tiger eye earrings in silver and tiger eye beads earrings. 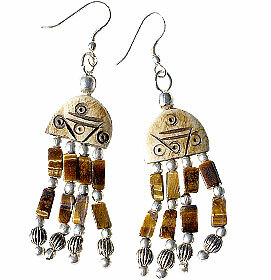 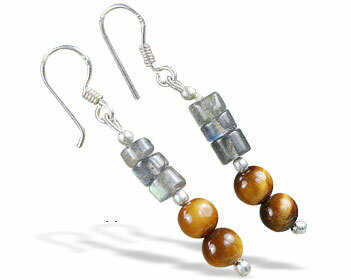 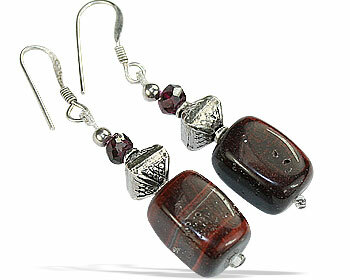 You will also get tiger eye silver std earrings, tiger eye hoops and tiger eye dangle earrings here. 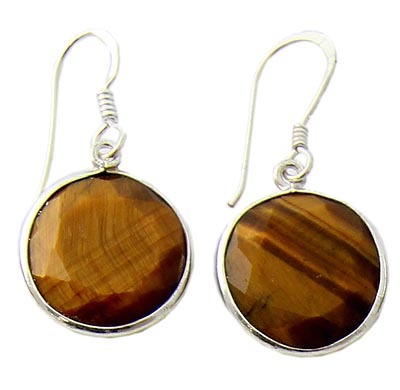 More about Tiger Eye: Tiger eye, (also called crocidolite cats-eye or African cats-eye) shows bands that resemble an eye of tiger, so it received its name due to this similarity. 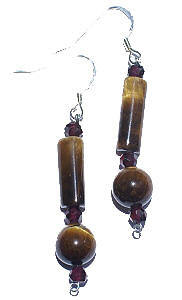 Roman soldiers wore tigers-eye for protection in battle. 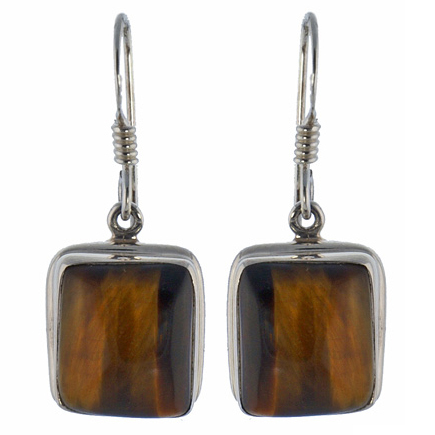 Tiger Eye was thought to be all seeing due to its appearance. 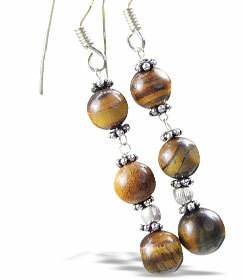 Tiger eye has a rich yellow and golden brown stripes, with a fine golden lustre when polished. 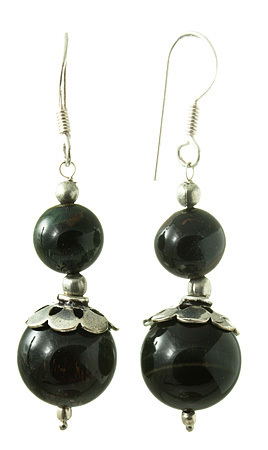 It is basically a variety of crystalline quartz formed by alteration of an asbestos mineral (it being replaced by silica) known as crocidolite. 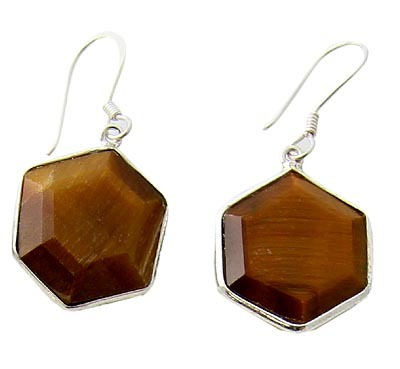 When tiger eye is viewed in reflected illumination, a ripple or band of light, resembling a cat’s eye, follows the original fibrous structure of the asbestos. 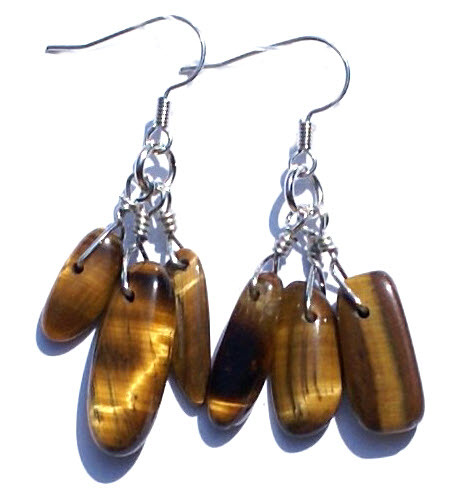 Tiger eye displays chatoyancy (a vertical luminescent band like that of a cats eye – French chat – ’cat’).. Tiger eye typically has lustrous alternating yellow or brown bands. 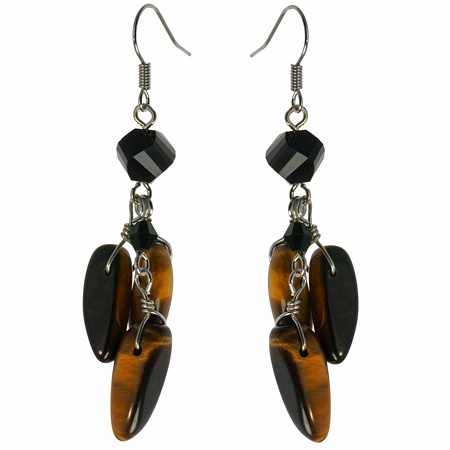 Tigers eye is a solar plexus stone, and helps by deepening perception and clarity of self, and giving us courage when we need it most. 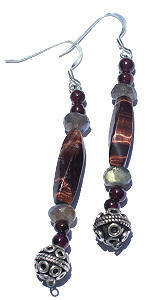 It is good for manifesting of ideas and to place visualizations into reality. 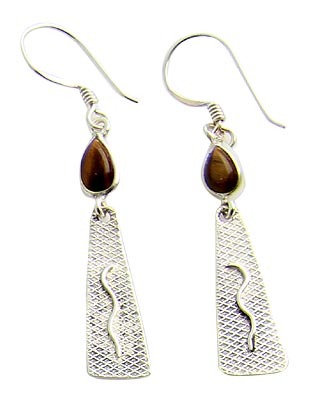 t is claimed that tigereye will counteract feelings of hypochondria and the onset of psychosomatic illness and will also give a feeling of self-confidence. 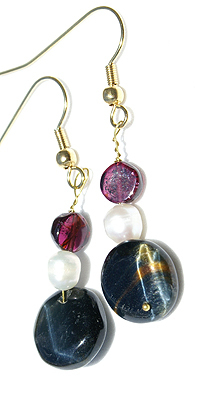 It is aso associated with the correct use of power, courage, grace and the ability to see clearly and without illusion. 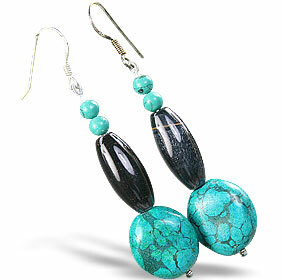 Excellent for asthma patients. 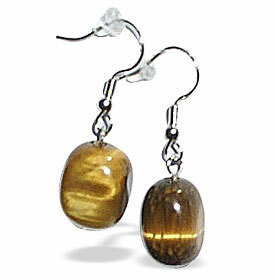 The largest deposits of tigers eye are in South Africa, Australia, Burma, India and the United States. 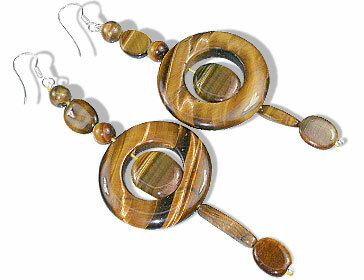 The best stones come from Griqualand West.